The Fellowship Quest With No Match, or O Brother, Where Are We? Eric Widera over at GeriPal posted in April about changes in the National Resident Matching Program (NRMP) timeline for medical subspecialty fellowships, and the implications for Hospice and Palliative Medicine (HPM) and Geriatrics. I'd like to talk about our Match-less HPM fellowship application process, from one applicant's perspective. Photography by Ken Goldberg. 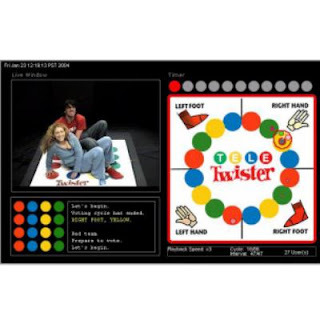 From “Tele-Twister” CC 2004. Some rights reserved. So, there I am minding my own business, I've interviewed at five impressive programs, with two more interviews scheduled. Then unexpectedly, I get an offer for a position from a stellar institution (I rather awkwardly ask for time to interview more fully before making a decision, which was granted). This is followed a week later by another offer from a great program. One is closer to my family, but culturally less vibrant, with an academic practice pattern and team culture to my liking; the other is farther from my family, but in a more culturally robust area, with a strong clinical program offering high volume and challenging cases. My wife is a professional musician and music journalist, so the cultural milieu where I train, and may wind up practicing in, is an important factor. Then an interview opportunity comes in from another great program in a great town an hour away from my wife's family. Perhaps one might say, "I should be so lucky." My reaction is actually more like panic. The opportunity costs is high assuredly, but determining which I should choose and which I should forego is excruciatingly difficult. I still have 10 applications out (OK maybe too many applications. But, who knows at the outset how one is going to fare?). All of those programs are very interesting to me, for location, institution and program faculty, etc. So, I ask for and get extensions of the offers. I interview at the program close to my wife's family. When I meet with the program director, I'm told their decision about my cohort of applicants will likely be made after my other offer extensions are up. I also get what is probably a generic invitation to contact the program if I needed an early decision to clarify matters. So, back to the offering programs to update them and ask for more time, which they graciously grant. I then ask for, but did not get, an early decision, which means I was still in the running. So, I am being pulled now in at least three ways, with irons still in the fire. Interviewing is expensive, especially on a resident's salary, and doing this all during residency, with long hours while taking care of patients and collateral responsibilities, and having to use vacation time is all very stressful. As this is all going on interview offers continue to trickle in. I begin to turn down interview offers, even canceling interviews I already have scheduled, thinking I am likely to take one of these positions. At the same time, I am anxious about eliminating interviews out here in the Wild, Wild West because something could go wrong and my birds in the bush could fly the coop, and the whole thing could come down like a house of cards leaving me in the cold, and empty-handed. The last few days start ticking down. Out of the blue, I get a contingent offer from a program that is very strong clinically and highly academic, in a culturally vibrant town, not too terribly far away from my family. They are working on getting approval for another Accreditation Council for Graduate Medical Education (ACGME) slot, versus perhaps another candidate may turn down an offer they have already made. At this point I make criteria for being "drawn and quartered," now being pulled in four different directions. The opportunity costs mount! Illustrated by Jillian Gilliland © 2009. From “Tell Me A Story” © 2009 Universal Uclick. All rights reserved. The way it felt, both as it was happening and in retrospect, was something like an uncertain, perilous and epic quest. It reminded me of my favorite epic, The Odyssey. 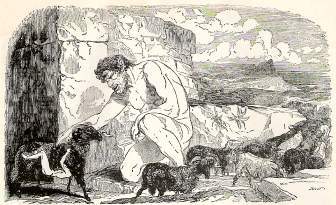 Odysseus was struggling to get home after many long years away, but one problem after another cropped up to thwart him: the whim and malice of gods and goddesses, the threats of monsters, the thrall of enchantments, the lure of comfortable captivities, the sirens' call, tempestuous storms and even more monsters. 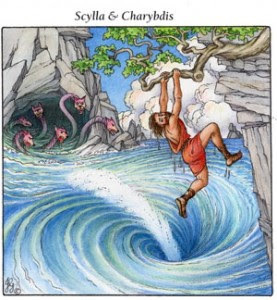 It is at this point that imagery from the Odyssey wells up: Odysseus caught between the gorging and belching vortex of Charybdis on the one hand and the rapacious heads and voracious mouths of Scylla on the other, with no way out but through. By luck and craftiness Odysseus barely averts disaster again and again, and by holding to the course, he finally achieves his quest and arrives home, travel-weary, older, perhaps wiser… but also with an unnecessary case of PTSD. 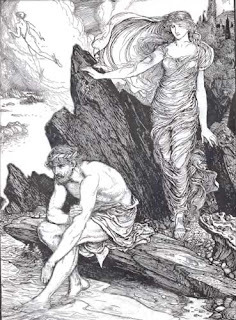 To reason that since the hero survives and achieves the quest, the arduous and circuitous course he was made to take is justified is, in my opinion, a rationalization. In the end, I secured a position and I am very happy with my outcome. I am however very unhappy with the process. Thank goodness for the Electronic Resident Application System (ERAS) where one's application, CV, personal statement, letters of recommendation, are uploaded into the electronic ERAS cloud once, and then are electronically submitted to one's desired programs (except for the programs that don't participate in ERAS and require old-fashioned paper applications, thus duplicating work for interested applicants and their recommenders). Having ERAS in place prevented the process from being even more labor-intensive and chaotic. The diversity among programs in their respective timelines for application review, interviewing, and how and when to do what about making offers is frankly stunning. My process was cut short by a spoils-to-the-swift ethic. Because of the asynchronous timelines, I had to decline interview offers from programs I was very interested in. Given the inherent power disparity in the roles and the dynamics involved, I did not believe I had the latitude to walk away from offers from great programs in order to "explore my options" further. Perhaps my issue, but I doubt mine alone. If there wasn't already an existing, simple, validated, large-scale, low-cost system to regulate and standardize behavior and decision-making among applicants and programs then one would be pragmatically stuck with the status quo. Luckily for us the kinks and bugs have already been worked out and a process is readily available for us to plug into. I'm speaking of course of the NRMP, or more simply "the Match." Having been through an NRMP Match, and now this Matchless Meet Market, I find the latter is wholly unsavory and unsatisfactory. Rather than feeling like I've come through a fair process conducted on an even playing field to arrive at an optimized placement to advance my learning and professional development and to staff the houses of programs with the best they can attract, instead I feel like I just bought a house in today's market; I've closed the best deal I could, but I really would not want to do that over again. Furthermore, I believe I was extremely lucky; my timelines were generous and fluid. I just think about those souls out there who are waiting for an interview in their preferred program, near their family, but get an acceptance from another program with a one week deadline to accept the offer (not an uncommon demand). Yes, I feel lucky for how it turned out in the end, but I also feel like I've been through the wringer unnecessarily, and I resent that. My conclusion is that for the sake of learners (and I actually believe in the interests of most programs) HPM needs to align with the leaders in GME and participate in The Match on the same timeline as the other medical specialties. Incidentally, moving the process into applicants' final year of specialty training would bring it in line with the fellowship application process in other specialties, at least with Physical Medicine & Rehabilitation and Emergency Medicine. If you have a war story, please feel free to add it. I would suggest de-identifying the data for the sake of human subjects protection, if you get my drift.